David H. Krantz graduated from Yale University (Mathematics) and received his Ph.D. from the University of Pennsylvania (1964, Psychology). He taught at the University of Michigan, 1964-80, eventually leading their program in Experimental Psychology. In 1970-71 he held a Guggenheim Fellowship and was Fellow at the Center for Advanced Studies in the Behavioral Sciences. 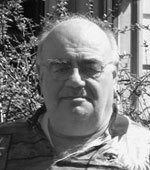 He was a Member of the Technical Staff of Bell Laboratories, 1980-85, and for a time led their Human Information Processing Research Department. He joined the Columbia faculty in 1985, where he helped to rebuild the Statistics Department, 1990-1998. He is currently Professor of Psychology and Statistics. He has been active in a number of roles in the Earth Institute at Columbia over the past 10 years. He is a founding Director of Columbia’s Center for the Decision Sciences and the Center for Research on Environmental Decisions (CRED). Krantz has worked in several different research fields, including measurement theory, color perception and the use of statistical concepts in everyday reasoning. His current research focuses on problem solving, especially decision making, multiple goals, risky and inter-temporal choice, and especially on social goals. Recent publications include “Goals and plans in decision-making” (with Howard Kunreuther) in Judgment and Decision Making, and “Individual Values and Social Goals in Environmental Decision Making” (with several CRED co-authors), in Decision Modeling and Behavior in Uncertain and Complex Environments.